We are all human, we sin day in day out. 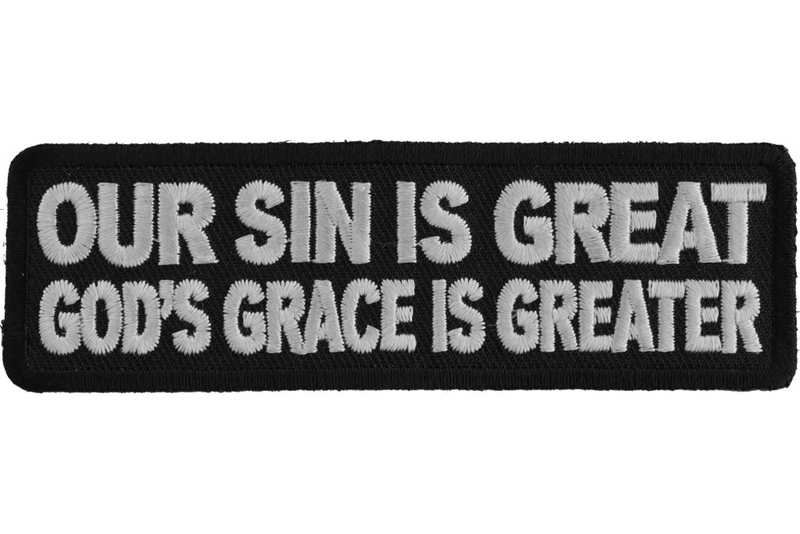 Our sin is great, but God's grace is greater. 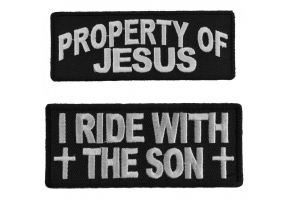 Get this very meaningful Christian patch and sew it on your jacket. 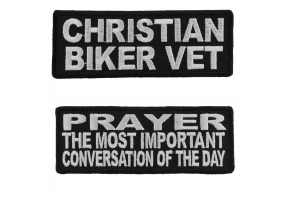 The iron on patch is embroidered in white over black and measures 4x1.25 inches. The patch features die cut borders for a clean look. 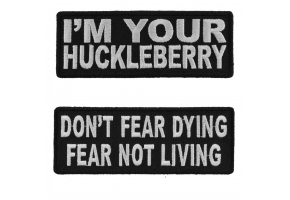 You can sew it on to your leather vest or jacket, press it on to hats, shirts, jeans or even canvas belts. 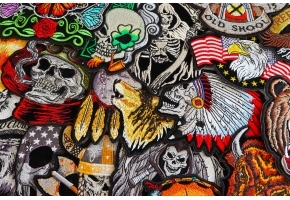 Start making your clothes unique with a patch and get some attention. 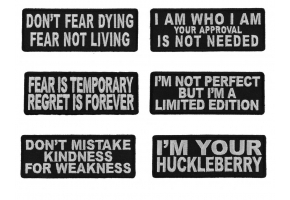 Normally I talk about humorous or inconsequential things in this my blog posts here. 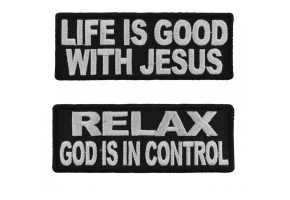 But today's subject, the Our Sin Is Great Gods Grace Is Greater patch, is something a bit more serious. 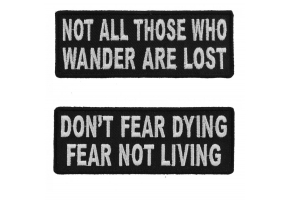 You can find it in the IT-Patches, by the way, and it's a small, 4"x1.25" rectangle in your basic black and white. 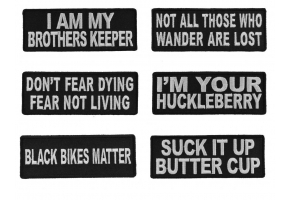 We know that these patches are designed not only for decoration on a jacket, vest, or hat, but they are also intended to convey a message. Sometimes the message is funny, sometimes it's political, sometimes it's even crude. 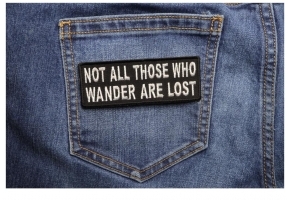 But then other times, like today's patch, the message is eternal. It's the truth of God's grace and the Good News wrapped up together in a shirt but concise sentence. 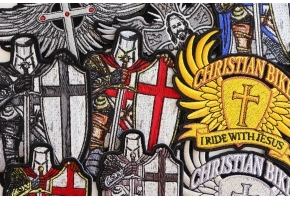 You could certainly sew this patch to your leathers, but you could also just as easily use a hot iron to apply it to your fabric Bible cover. It would also make a great reward for your Sunday School students who memorize their weekly Scripture verse. The best part is that it has an untold number of uses because the message is universally true. 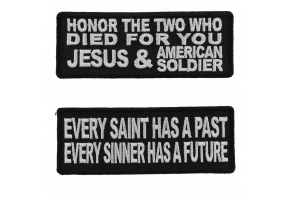 If you know the truth of God's grace, you need to get a handful of these patches and use them to spread the message. No need to get in anyone's face; no need to scream or yell. Just a simple message that is timelessly true. So much said in such a small patch....yet something the world desperately needs to know.